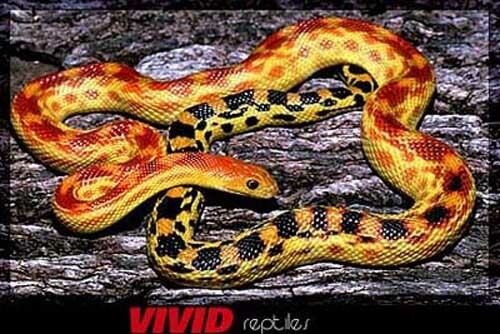 Cape gopher snakes exhibit great individual variation in both color and pattern. The dorsal surface is typically blotched both anteriorly and posteriorly with blotching undergoing a dramatic color and shape change as one moves from the neck of the animal to the tail. Blotches on the anterior portion of the animal are brick red, orange or cinnamon and are "H" shaped. At mid body there is a gradual but distinct transition to bold black blotches that are roughly in the shape of squares. Dorsal blotches range in number from 43 to 47. Ground color is highly variable and can be yellow, brick red, brown or orange. Animals from the northern portion of the range sometimes exhibit bimaris influence and tend to be darker overall. Normally the head of vertebralis lacks discernable pattern except for a sometimes abrupt transition from darker orange tones to lighter yellow or white tones as one moves from the dorsal surface of the head to the ventral surface of the head. Animals showing bimaris influence will sometimes exhibit a light spotted pattern on the dorsal surface of the head. The head is narrow and high with the lateral surfaces being remarkably tall and squared off at the dorsal and ventral transition. The neck is thin and rather graceful for a pituophis. Animals with bimaris influence tend to have thicker necks. The first blotch on the neck starts about 9-12 scales back from the head. There are 2 captive varieties available in the hobbyist market. The first is the normal variety which has been line bred by some hobbyists to accentuate the oranges, reds and yellows. Some of these animals have extremely reduced black pigmentation on the anterior portion of the body leading some hobbyist to refer to them as partially "hypomelanistic" but in reality they are normal with the black pigment confined to the posterior portion of the animal. The second variety goes by a number of trade names such as: hypomelanistic phase, striped phase and patternless phase. All these names refer to the same basic variation and this has caused considerable confusion among hobbyists. The term "patternless" probably comes closest to discribing this unusual variation. The animal has a very reduced dorsal pattern and typically has no blotches. The ground color ranges from dark brick red to orange. One peculiar trait of this variety is that pupil, iris and scalare of the eye are jet black giving the snake an unusual "black eyed" look. Cape gopher snakes have a range restricted to the southern tip of the Baja peninsula. This region is also referred to as the "Cape" region or the "Cape of Baja." The exact cutoff of vertebralis range is ill defined because of integrading with bimaris to the north. The general range of vertebralis roughly extends from La Paz southward to the tip of the peninsula. It is interesting to note that there are several other unique subspecies of reptiles that have fairly well described ranges that roughly coincide with vertebralis - indicating a uniqueness of habitat zones at the end of thepeninsula. The topography, climate, and geology encompassed by the range of vertebralis is very complicated and relatively short distances can bring radical changes in macro and micro habitats. Within the range of vertebralis is the Sierra de la Laguna, a mountain which towers over 2,134 meters (7000 ft) and contains pine and oak woodland that most people would not associate with the southern extreme of Baja. Other biological zones found in this relatively small range are: dry tropical forest, arid tropical scrub, sonoran desert and desert shore. Cacti and rock are dominant features of the landscape. Overall, the area is dry and can experience years with almost no rainfall. At other times the area may receive deluges from tropical storms and hurricanes in the Pacific Ocean and Sea of Cortez. Most reports of vertebralis taken in situ have been anecdotal and seem to come mostly from the arid tropical scrub zone. This does not mean that vertebralis does not occur in the other habitats encompassed by this range. Much of the area is remote and very rugged and most sightings have occured at night on the few developed roads that lead to tourist areas. I am aware of no field work having been done with vertebralis and therefore their daytime habits are poorly understood. They are apparently nocturnal and crepuscular and live a fossoral existence during the day. Although daytime temperatures above ground may be very warm indeed, in the subterranean burrows where vertebralis spends its days, the temperatures may be quiet cool with high relative humidity. Because of the cooling effect of Pacific Ocean currents, night time temperatures can fall rapidly. The net result is an animal that is at home in relatively cool micro and macro environments. Prey preferences of wild vertebralis are poorly known but one would assume, based on the observation of captives, that they probably prey on a variety of small mammals with kangaroo rats and deer mice most likely making up the bulk of the diet. I have not seen reports of lizards being included in the diet of wild vertebralis but this would not be surprising based on the abundance of lizards in the area and the natural tendency of reptiles in extreme desert climates to capitalize on available food sources. In captivity, vertebralis readily feed on lab mice, deer mice and lab rats and will feed on both live and pre killed food items. 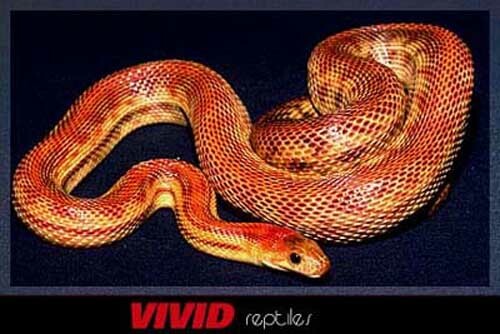 They appear to have relatively high metabolisms and do not put on weight as easily as other Pituophis ssp. Feeding at too high temperatures, i.e., 27.8C (82F), can cause regurgitation syndrome. Feeding large prey items can also cause regurgitation syndrome. This can usually be corrected by fasting and then resuming feeding with very small food items. Typically,vertebralis tend to be a more slender Pituophis and attempts to bulk them up often result in the onset of regurgitation cycle. Cape gophers have variable behaviors in captivity with hatchlings being very easily agitated and adults being more sedate. They are however, somewhat nervous, active animals and prefer a quiet, low stress captive environment. Hide boxes are preferred by some individuals and completely ignored by others. Some adults are prone to mood swings that are often initiated and then exacerbated by keeping the animals at too high temperatures. A common mistake of hobbyists keeping vertebral is for the first time is to keep them too warm - an assumption often based on what most hobbyist would assume are "natural" conditions. Most feeding and behavior problems can be alleviated by lowering the cage temperature of captive vertebralis to about 25.5C (78F) to 26C (79F). It is not recommended that vertebralis be given a basking spot unless the ambient cage temperature consistently falls below 25.5C (78F). Water should be made available atall times in a wide mouth dish that is not prone to spilling. Cage conditions should be kept dry. Animals for which breeding is intended should begin brumaiton in late November and end brumation in mid to late February.Temperatures that fluctuate between 12.8C (55F) and 18.3C (65F) during this period are ideal. After the animals are removed from brumation, copulation may begin immediately or may begin anytime over the next 5 weeks. Females usually breed before their first shed in the spring. Eggs are laid approximately 45 days after the onset of copulation. Typical clutch sizes range from 5 to 10 eggs. Females will lay eggs 7-10 days after their pre-lay shed. Females may not appear gravid until 3-4 days prior to laying - the eggs are apparently not hydrated until right before laying to conserve water. Well fed females are capable of double clutching. Eggs are incubated in the typical colubrid fashion on slighty moist vermiculite and take approximately 70 days to hatch at 27.8C (82F). Hatchlings are robust and active upon hatching and ususally feed readily on live pink mice following their first shed. Stebbins, Robert C. 1985. A Field Guide to Western Reptiles and Amphibians. Houghton Mifflin Company, Boston. 336 pp. Wright, Albert H. and Anna A. 1957. Handbook of Snakes of the United States and Canada, Vol.II. Comstock Publishing Associates, Ithaca and London. 1105 pp. Mehrtens, John M. 1987. Living Snakes of the World. Sterling Publishing Co., New York. 480 pp.